Something about me: I have been working as an arts manager and consultant for more than 15 years, both in the independent and the public sector. I have specialized in the performing arts, namely in the field of strategic planning, internationalization and programming. My last two positions were as Strategy Advisor for Artemrede – a Portuguese theatre network encompassing 15 cities, and as a cultural manager for mala voadora - a fairly internationalized Portuguese theatre company, where I was in charge of kick-starting and co-programming an independent arts venue in the centre of Porto. Previously, I have mostly acted as an external consultant for public and independent arts organisations, and have also been involved in transnational cooperation projects. I have served as a member of groups such as the European House for Culture or the A Soul for Europe Initiative. I am also highly involved in the governance of my city, being a member of its Municipal Council for Culture, former Member of the Jury for Arts Internationalization – Shuttle Programme – and a Founding Member of DDD – Days of Dance Performing Arts Association. I write, teach and speak regularly about cultural policy and management. My background is in European Studies, followed by a Master’s Degree in Cultural Policy and Management at City University London. In 2018, I decided to pause ongoing work projects to focus on my PhD in Artistic Studies/Performing Arts at the University of Coimbra. The focus of my research is the emergence of new models of organization and management in the performing arts, namely by questioning the status quo of the relationship between artists and producers, by examining the role of arts managers in theatre companies, as well as by discussing new forms of organization for artistic production and the implications of the 'collaboration ethos' for cultural project management. At the moment I am busy with: •	preparing a book about Producers and Arts Managers’ in Portugal: the book will include their professional biographies, but also their perspectives on their contribution to changing the way art is produced and managed in the future; •	promoting a discussion around the possibility of the classic ‘theatre company’ model being outdated; •	conducting a field research about emergent work models (analysing experimental small organisations, informal collectives, and cooperatives) I am also interested in relating these organisational challenges with the wider cultural policy framework. The possibility of moving towards cultural policies of the commons, transcending a sectoral approach, provides an invaluable occasion to fundamentally reframing relations between artists, producers and citizens. Um dos primeiros livros que resolvi ler logo após ter decidido fazer o doutoramento foi “A Criação do Suspense”, da Patricia Highsmith. O meu fanatismo pelos livros dela amornou depois da adolescência, altura em que li tudo o que ela publicava, mas fiquei intrigada com este, em que ela supostamente ‘desvenda o processo de criação dos seus personagens e dos enredos em que se movimentam’. É um livrinho como deve ser (pese embora uma tradução discutível), com capa do Jorge Colombo, tamanho certo, letras gordas, com capítulos fabulosamente titulados. Vou voltar a ele muitas vezes, até porque tenho um projecto secreto de copiar umas partes, se me sentir desesperada. Pareceu-me logo evidente que para sobreviver à empreitada de investigação eu teria, sobretudo, de garantir que era capaz de divertir-me enquanto escrevia; igualmente, não ficaria satisfeita comigo mesma se aborrecesse de morte quem viesse a ler-me; e estava seguramente interessada em combater o medo do tédio metodológico com uma estratégia de auto-sabotagem que me mantivesse entretida. Acabei por encontrar na deliciosa história do cágado, que a Patricia Highsmith inclui neste livro, um ponto de referência que esperava que me viesse a ser útil. Não posso, claro está, garantir que serei autorizada, pelas normas académicas, a introduzir cágados e facas de cozinha no texto da tese só para enganar a previsibilidade e sensação de dormência que me dão a maioria dos trabalhos de investigação (e não tenho razões para acreditar que serei diferente). Mas posso tentar lembrar-me da bela gargalhada que dei na página catorze desse livro, e procurar que essa memória me impeça de ser demasiado enfadonha. É que nem sei se levo isto do doutoramento avante. Valerá a pena? Working in the margins of the arts, I have to be thankful for all the debates and conferences I am invited to, and proud of myself to take up most of them, even if time is always so scarce and if many times I lack proper preparation and wisdom. I have explained elsewhere why I keep doing it: I am a believer in the relevance of a public sphere as a fundamental element of democracies, and I do my best to share my ideas, listen to others’, and learn from dissent. I think it is important to be learning all the time. I am not so naif as to believe humanity has a capacity to learn from History, but at a personal level at least we do have memory, and we should act accordingly, I guess. For me that means acknowledging that, in the European and Portuguese recent past, consensus and silence have proved to be not that big of a help for individual freedom, so it is important to look for divergent thought, for the experience of multiple minorities, for the opinions of non-specialists, and outsiders. On top of those reasons to accept every other invitation to chat, there is another one: social media has magnified our comfort bubble to such a formidable extent, that it feels crazy not to test our thinking outside it. The risk of staying inside the bubble (Facebook but also think-alikes) is more than just boredom and self-confirmation: it is also sheer arrogance. That is why I like the company of strangers. So more or less a month ago Alastair Donald, who works for the Institute of Ideas, invited me for the second time to speak at an event they call “Battle of Ideas”. It runs on a simple format, but one in which people engage more lively and commitedly than I usually see in most conferences. One of the reasons for it, I believe, is the fact that it is totally about the debate itself, the value of collective discussion, and not coreographed projections of the panelists’ statements. This time the debate was around “who and what are the arts for?”. I decided to try and answer that question in the most simple and direct way I could. I grabbed a sheet of paper and wrote down the first five answers that came to my mind. (I focused more on the “what are the arts for” than on the “who”, because I think one follows the other, and the what is more important.) So here are five reasons I think we should keep in mind whenever we discuss this. What are the arts for? This is the first and most important reason to keep in mind. Art is, fundamentally, useless. Unless we come to terms with this, we risk repeating this conversation until the end of times. Some artists go as far as to claim the right to uselessness, and that is just about right. If you appreciate art, you should be ready to give the artists the freedom from purpose that they need. And you should ask your government to do the same. I argue that artistic processes have a lot in common with scientific investigation. Both dwell systematically upon the unknown, both depend on the freedom to speculate. Like science, art needs to be able to experiment with no strings attached. It can’t promise to deliver specific, pre-determined results, its only commitment is with rigour and with innovation. Experimental processes eventually lead to great and complete works of art, others….don’t. It is how we value imagination that counts. It is how much we want to live in a world that has a place for those that don’t know the answers, but can make superb questions. It can happen that some (very good or very bad ) artists can make money out of their art. They are but a few, but, hey, folks, IT IS OK! Money has been an integral part of our social life for as long as History can recall, so stop trying to pretend that art has nothing to do with it. So next time you hear someone complain about the cost of a theatre ticket, ask them if they get their beef for free. This is actually a no-brainer. So much, that it is somewhat unsettling that governments struggle with it. If you need a heart transplant, you are better-off being helped by a surgeon than a poet, right? That is the same reason you shouldn’t ask artists to take responsibility for urban regeneration, or alleviate poverty, or reduce school dropout. Personally, I don’t want a government to fund artistic projects for kids who drop out of school, I need a government who effectively prevents school dropouts. Same goes with poverty. Let’s take a little longer examining this one, because it is hardly the only reason why governments admit funding the arts for! Dear Prime-Ministers, what is wrong with you? You go on and on about the importance of the arts and culture, and then you want to tie us up to issues that have nothing to do with art and I about which we have little or no competence about. Let’s be clear: it is not that we don’t acknowledge that the arts can make significant contributions to our public and personal life; it is that those are collateral effects, not the reason (most) artists make art for. Sorry for insisting on idiotic comparisons, but I am running out of patience with this one: would you fund a hospital because its building is 19th century architectural heritage? Exactly. Are we done here? Good, now we can talk about art. O que tem esta entrevista à Catarina Vaz Pinto, tão simples, de excepcional? Para mim: a determinação serena de um percurso ininterrupto ao serviço da cultura, a justa articulação entre política e gestão cultural, o apreço pela intervenção pública fundamentada, isto é, a noção de que é tão importante esclarecer as convicções políticas que orientam a acção como fazê-lo incorporando informação e reflexão independente e especializada. Só isto já dava um livrinho de boas maneiras para autarcas com o pelouro da cultura. Um ponto de discórdia, pelo menos: percebo bem a rejeição da ‘fulanização’ do cargo de vereador/a da cultura (em tempos de populismo abundante agradece-se o desapego), mas diz-me a experiência que a cultura (entendida sectorial ou transversalmente, façam as vossas escolhas) ainda carece muitíssimo de protagonistas que afirmem positivamente a relevância da cultura e das artes enquanto domínio de política pública. Ora essa afirmação, gostemos ou não, faz-se sobretudo no campo da política, e não apenas da demonstração de competência técnica. Há inúmeros Presidentes de Câmara (para não dizer vereadores da cultura…), por esse país fora, para usar linguagem de auto-estrada, para quem o Pelouro da Cultura, ainda que instrumentalmente valioso, é politicamente irrelevante. Não o admitirão, porque é politicamente incorrecto, claro; a ‘valorização da cultura’ entrou há muito no jargão oco do senso comum, acompanhada por uma tomatada incapaz de distinguir ‘arte’ e ‘cultura’. O que, em termos do senso comum, dá imenso jeito, como se sabe. É por isso que entendo que uma intervenção inteligente e discreta deveria bastar-nos, de facto, mas miseravelmente ainda estamos precisados de que o pensamento progressista e defensor das artes não se coíba de se afirmar politicamente. Hoje não é dia de relativizar a bolha algorítmica, nem de escarnecer da tentação moralizante. É mais um cravo, sim senhora, a juntar às centenas em que já tropecei hoje de manhã. Ainda assim são poucos, visto da Google isto é pequenino. Malta, isto não é para romantizar o passado, nem para pôr na mão ou na lapela. É para pôr na cabeça. Liberdade é agir em conformidade, por isso é que rima. Escrevo mais no Verão. Tudo mais no Verão. (Nasci a 30 de Julho, pelo que suponho que o disparate astral alimente a tendência). Se tivesse tempo agora, havia de escrever sobre o que foram estes dias em Alcobaça. Maçãs e vinho, claro, mas também o prazer de estar com gente de cabeça fresca a preparar um grande projecto, “A Manual on Work and Happiness”. É resultado de uma vitória merecida: a Artemrede ganhou a candidatura ao programa Creative Europe. Juntou-se um centro de residências artísticas em Itália, o L’Arboreto, o Festival Pergine Spetaccolo Aperto e um grande teatro grego de Patra. E como na direcção artística está a mala voadora e o Pablo Gisbert, espera-se do melhor. Em lume brando. Até já. I write more in the Summer. Everything more in the Summer. (I was born on the 30th July, so I suppose the astral nonsense feeds that inclination). 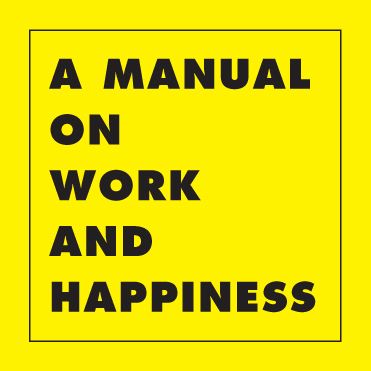 If I had the time now, I’d write about these days in Alcobaça- Apples and wine, quite obviously, but also the pleasure of being around broad-minded people preparing a great Project, “A Manual on Work and Happiness”. That’s the concrete result of a well-deserved victory: Artemrede won the application to the Creative Europe programme. It was joined by a centre for artistic residencies in Italy, L’Arboreto, by the Pergine Spetaccolo Aperto Festival and by a great Greek theatre in Patra. And because the artistic direction is secured by mala voadora and Pablo Gisbert, one can only expect the best. Cooking in low heat.